Are There Times You Shouldn't Do SEO? There are many times when a client comes to me for SEO work and I tell them “No, it won’t help you at all”. Want to know why? Could your website be the same? Good morning, good afternoon, perhaps, I should even say good evening. Whatever time it is, wherever you are in the world, hello. Welcome, thank you so much for taking the time to join with me. My name is Paul Barrs. This week, I want to talk about a very interesting conversation I had recently with a prospective client in regards to some search engine optimisation work that he was asking me to look at doing on his website. When I came to the site, had a good look over it, and said “I need to obviously be able to access your Google Search Console. I need to be able to access your analytics, and whatever rank track data that you currently have”. In order to do the best and give him a good assessment, I need this information first. I need to identify the problem before, of course, I can offer the solution. I realised that, believe it or not, SEO was not going to help this fellow. Certainly not with the website in the condition that that website was. It was old. It hadn’t been updated recently, it wasn’t mobile responsive, the technology used to build it . . . Well, it was just definitely out of date. That’s just from a technical point of view, so I made mention of this to him. I also asked the question “Tell me, for how many people that you get to your website now – say, for every 50 people – how many of them actually contact you?” It was a service that he was providing, not a product that was being sold online. He had no idea. The analytics didn’t really show because they weren’t set up properly either. There were certainly no goals or anything like that. So I poked and I prodded and I looked around, and here’s the thing, I’m happy to do SEO for this guy, but first – but first I must fix the website because, no amount of traffic to this website is going to help increase his business, and this is what I’d like you to give serious thought to, this week in your business. As I’ve actually done and looked at a few things on my own, and looking at the conversions on the pages, and thinking if I was to perhaps get more traffic to this page, would that help with sales? Would that help with service inquiries? Is that going to help convert more people? If the answer for you is no, and you need to be honest, and perhaps get some extra third-party help. If the answer is no, then you don’t want to pay for advertising to get to that website or to that page or that to product or that service. I’m sorry, that is the truth. 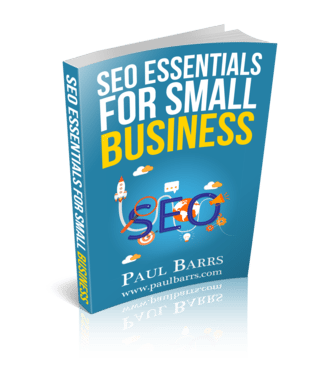 Search engine optimisation, when done well, when done correctly with modern techniques, modern SEO following Google’s best practices, can increase traffic. But, no amount of traffic can guarantee your success! You must also have good on-page conversions. You must have good user experience. These things are also part of good SEO. Google wants to serve its customers. Think about that. Well, you need to serve Google’s customers, not look after the interests of you. Serve your customers as they come to you through Google. So I have, I guess, a bit of homework for you. I’d like you to drop into your own analytics this week and have a look at your top 10 landing pages. Go to the report in the area which shows customer behaviour, and have a look at your entry pages, and look at it specifically from a new traffic point of view. Then go and look at the top 10 exit pages report. Have a look at each and every page and ask yourself, what can you do? “What can I do to improve the conversions on that page”? Now that, of course, suggests that there is a goal, a reason for being, for that page. Maybe that page is a blog post. Maybe, it’s just a good, solid information page. Okay, so its goal might be to click through the contact form or to click through to the shop or something. I guess I’ll just wrap this up and say, this past week I finalised a page I’d been working on for a number of months on on-page SEO. It’s on my website now, and it’s a very . . . it’s going to be a major featured page on my website for the next few months. I put it up there after hours and hours of work, and immediately, after a very short time, I had a friend of mine in another web design business contact me and say “Paul, what’s the purpose of this page? Are you just being generous? What is it that you want people to do? You got no conversion on there”. I said, “I know. I’m getting to it”, and I have actually done it now, but at that time, I hadn’t. I said “I believe it is far better to have the page up then not at all”. So, I want you to understand that you don’t have to have all of these conversions in place straight away. Fix up the content. Look at the primary topic of each page, that’s meaningful content. That’s the first goal. Then ask yourself what can you do to improve the conversions. What is the conversion goal for that page? Of course, if you’re here in Australia and you’re not quite sure how to do these types of things, maybe need some advice or just some, I guess, friendly information, give me a phone call. Contact me through my website at paulbarrs.com. Happy to help, happy to contribute whenever I can. You have a great week. I’ll talk to you again, next week. Bye-bye.